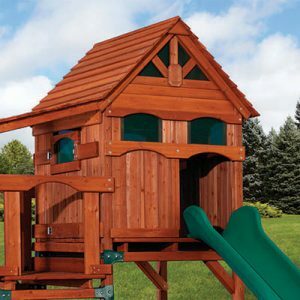 Home»Backyard Playsets: Healthy or Fun? A backyard playset is a great way to give your kids both. The best part, kids won’t even know how good it is for them. 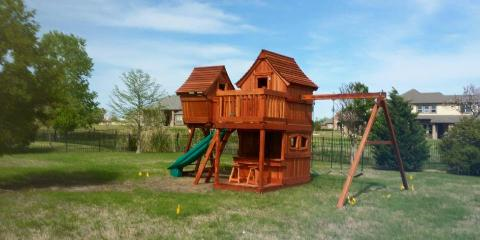 A child’s imagination ensues as their backyard playset goes from a swing set, to a fort, castle, and pirate ship. Backyard Adventures play sets have been delivering smiles, fun and adventures to kids for over 25 years. The health benefits of owning a backyard playset are also outstanding. Starting with exercise, kids develop stronger muscles, stronger bones, are less likely to be overweight, and will generally be more healthy. Most importantly kids getting exercise are more likely to have a positive outlook on life. Study after study indicates that activity leads to a healthier lifestyle. When you complement all of these benefits with developing a child’s imagination and creativity the benefits are endless. A Backyard Adventures play set provides a fun place for a child’s imagination and boundless creativity to grow. 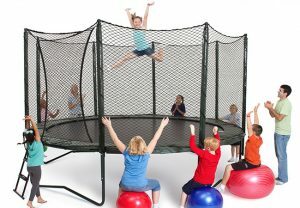 At the same time kids will be entertaining themselves! This is a vital and often overlooked skill. So this Spring or Summer find out why Backyard Adventures opened the door to creativity, imagination, activity, exercise and fun over 25 years ago. Backyard Adventures Swing Sets are designed with your kids in mind. Healthy fun for your kids! Running, climbing, swinging, jumping all build physical skills that improve endurance and develop coordination. Last but not least this is fun for the parents too. Whether you are joining the kids for a backyard adventure, or getting a much needed break while the kids play, your quality of life will get the boost you were hoping for this Summer. 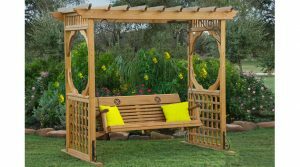 Visit a local Backyard Adventures dealer and the knowledgeable play set designers will help you customize a play set that is right for your family, budget and backyard. Let the fun begin!